For some time now, Berangere, our Paris correspondent and the Lomont portion of DorpatSherrardLomont, has been photographing the interior of the great domes of Paris – the coupoles – masterpieces of French art and design. 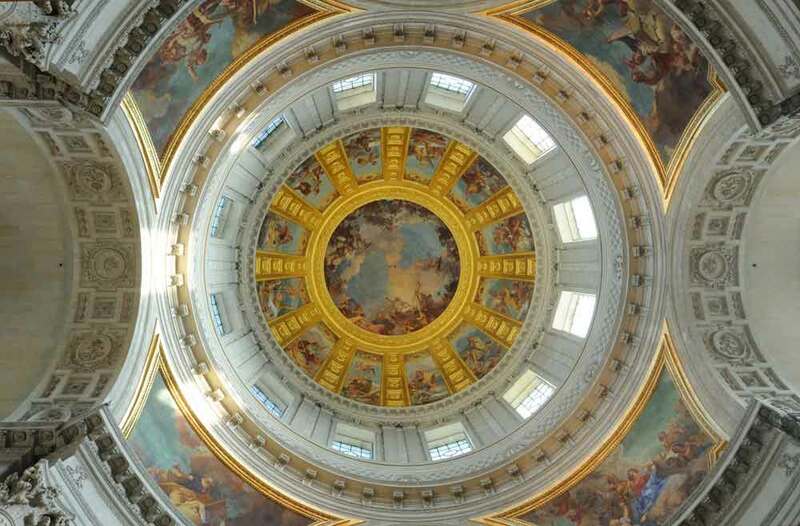 We will share some of them here, beginning with the coupole of the Hôtel des Invalides. This coupole, painted by Charles de la Fosse (199.5 cms ) is dedicated to Saint Louis, kneeling and offering his sword in front of Christ in glory (a very good strategy for celebrating monarchy and religion together). 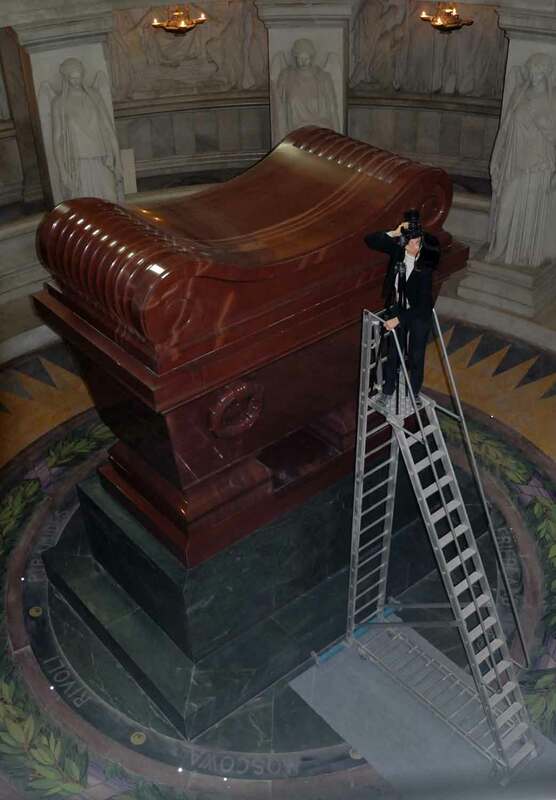 The coupole is not very well photographed because Napoleon’s tomb (lined with 7 coffins inside) is standing in the middle, so I asked if they were cleaning the tomb, and proposed to photograph from the ladder.